ETUCE organizes a public event on 19 September in Brussels, Belgium, from 9.00 – 13.00 in the premises of the International Trade Union House, The International Auditorium (1st floor), Boulevard Roi Albert II 5, 1210, Brussels. 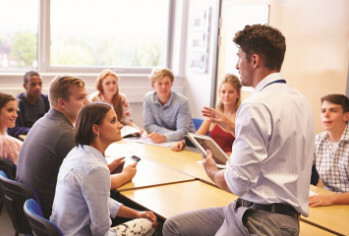 Educators in Europe are faced with challenges for the present and for the future, both at European and national level, in relation to changes in the labour market, teaching profession, and social dialogue. The public hearing aims to contribute to discussions on improving teaching and supporting teachers in the European Education Area 2025. The hearing will provide the opportunity to stakeholders to discuss the role of teachers in the future European education and training strategy and learn about the outcomes of the ETUCE project “Education Trade Unions for the Teaching Profession. Strengthening the capacity of education trade unions to represent teachers’ professional needs in social dialogue”. The project seeks to build the capacity of education trade unions to represent teachers’ professional needs in all education sectors and to enhance their professional issues as a crucial matter of social dialogue. Representatives from Brussels-based policy makers, education trade unions and education employers in Europe as well as other prominent organisations are invited. If you are interested in participating please register with the ETUCE Secretariat (secretariat@csee-etuce.org) by 21 August 2018.